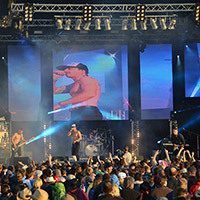 This tribute band believe that being a convincing tribute is more than just looking and sounding like the Red Hot Chili Peppers. It is about capturing the spirit of the band and not many bands (if any) have such a fun and lively, loving, vibrant and energy filled spirit as these! They are one of the best tributes to RHCP the UK has ever seen.